True brand residential appliances are inspired by professionals and designed for any highly functional kitchen. Our company does professional True appliance repair. We repair both True residential and commercial appliances. We have more than 30 years experience in True appliance repair and can help you with anything you will need. If you have a broken refrigerator, ice machine, wine cabinet or anything else, we can help. Our technicians are all factory trained and certified. We can order any high-quality True parts that you might need and expertly install them. In fact, we are so sure of the quality of the parts that we offer a 3 yearwarranty on all the parts we install. Besides repairs, we also do appliance maintenance and installation. You will be happy with our fast and accurate service. True makes very beautiful, high quality and technologically advanced appliances. 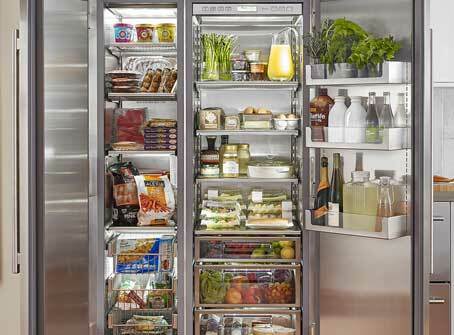 Their refrigerators are some of the best in the industry. No wonder they are used in commercial kitchens of restaurants and bars. But with all that technology comes the task of keeping your expensive appliance running smooth. You need professional maintenance and professional repairs. Not many repair companies the tools and knowledge to repair True brand appliances. But we do. Our company Top Home Appliance Repair specializes inexpensive and high-quality brands like True. We have experience repairing all models of True refrigerators, freezers, ice machines, etc. We will get your True appliance running again in no time! Besides having all the skills and experience needed to do a professional True appliance repair, we also offer our customers excellent customer service. Our technicians are always polite, respectful and friendly. They will go out of their way to help you. They work fast and precise because they know what they are doing. We offer you accurate estimate and FREE service call with every repair job. Also, our appointment scheduling is very flexible. We are willing to work around your schedule. 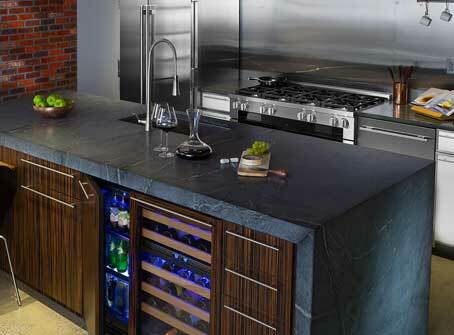 Top Home Appliance Repair specializes in all the top brands, high ticket items and custom kitchen appliances. We have been in business for more than 30 years and have been serving and East Bay. We do both residential appliance repair and commercial appliance repair. Our company repairs all brands and all models of major home appliances such as refrigerators, dishwashers, washers, dryers, stoves and ranges, ovens, steam ovens, microwaves, freezers, ice makers, BBQs, pizza ovens, patio heaters and much more. We do quality work at very reasonable prices. Customer satisfaction is guaranteed! Call us, and we will schedule an appointment for your True appliance repair. Our technician will preorder the parts for you and will give you a accurate estimate. He will come to your house and bring all the tools and equipment with him. Our technician will quickly find the problem that you have and start solving it. Before you know, your True appliance will be back in working order. After the job is complete, our technician will clean up after himself and dispose of all the old parts. He will plug in your appliance and do a safety and quality check. Only after he is sure that your appliance is working fine will he hand it over to you. You will be more than satisfied with the results because your previously broken appliance will be fully functional and safe to use. Why choose us to do True appliance repair for you? We have a lot of experience repairing both Ture appliances. Our team is highly trained and certified. They know every aspect of True maintenance, repairs, and installation. It does not matter how bit or how small the problem is, we will be able to solve it in no time. We will also get you all the high quality, genuine parts and professionally install them. Our service is fast, convenient and affordable. Give us a call, and your True appliance will be as good as new! For LTrue appliance repair, please call us at 818-855-7988 in Los Angeles and Ventura County or 925-265-7782 in East Bay. Or you can fill out our short contact form. We would love to talk to you and answer all of your questions. Besides True appliance repair are also certified to repair Asko, Bertazonni, Bosch, Dacor, DCS, Electrolux, Fisher&Paykel, Frigidaire, GE, Jenn-Air, KitchenAid, La Cornue, LG, Liebherr, Marvel, Miele, Perlick, Samsung, Siemens, Sub-Zero, Thermador, Traulsen, Viking, Whirlpool, Wolf. True brand residential appliances are inspired by professionals and designed for any highly functional kitchen. Our company does professional True appliance repair. We repair both True residential and commercial appliances.